Trees and flowers are blooming! That's a sign that spring has finally arrived in the Washington, DC area! As the weather turns warmer, we will all be spending more time outdoors. Barbecues, swimming and gardening are all on the not-too-distant horizon. As you look out your window, you realize that your backyard could really use some work. So, how do you go about making your backyard a lovely outdoor oasis for your family? 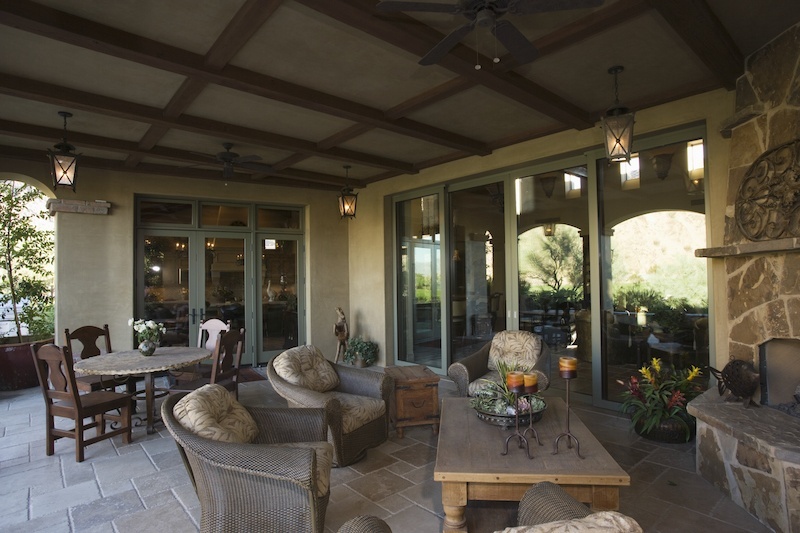 With proper planning, your indoor living space can transition seamlessly into your outdoor living space. Working closely with an experienced homebuilder will help to ensure that your new outdoor living area is highly functional, includes all of the features that you desire and feels like an extension of your home. There are many different styles of doors that provide entry to the backyard, from inexpensive sliders to those that pivot, fold or lift-up. Choose a door based on your budget and the look that you are trying to achieve. For instance, a telescoping door consists of three or more panels that slide past each other, and offers a modern look. When open, this type of door allows for a very wide unobstructed view from the inside to the outside, but can be very expensive. French doors are classic and have an elegant look, but don't allow for a very wide opening. There are variations on the traditional sliding door that can fit any type of decor, and they are available in many sizes and price points. Whatever look you choose, make sure that the entry to your new outdoor living space is functional, well designed and visually pleasing. A deck can be an extension of your indoor entertaining space and can be built in any shape or size. 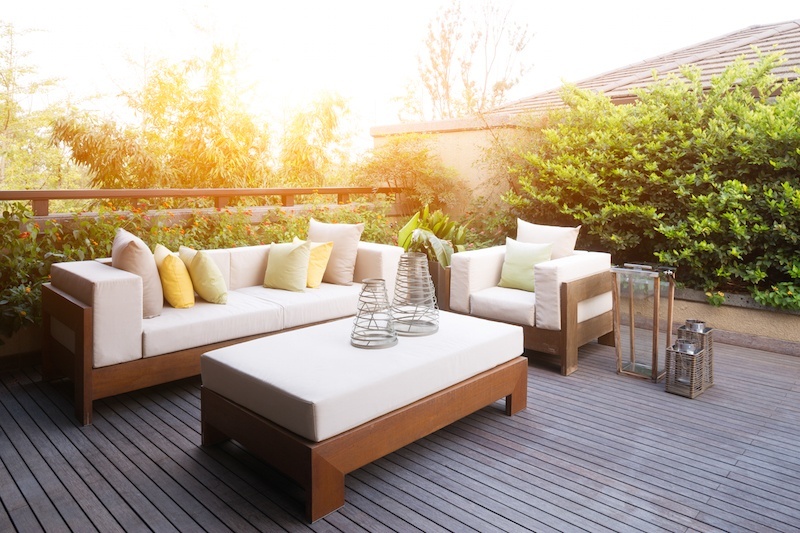 Whether you have a traditional rectangle or a free-form design, your new deck can have an area for a dining table that is separate from your outdoor kitchen. Decks can be made from pressure-treated lumber, redwood, cedar or composite materials. Talk to your builder about the maintenance required for each type of material before you choose one so that you understand how to properly care for your deck in the years to come. Patios typically require less maintenance than decks, and can be designed in any shape and size, too. And, patios no longer have to be made of boring, plain concrete. Concrete can be colored, stained or stamped to create a unique effect. Stone patios, made from flagstone, bluestone, slate or limestone, offer a natural look and feel. Brick lends itself to a very traditional, charming appearance, but can be high-maintenance. Pavers come in many shapes, colors and patterns and are easy to maintain. 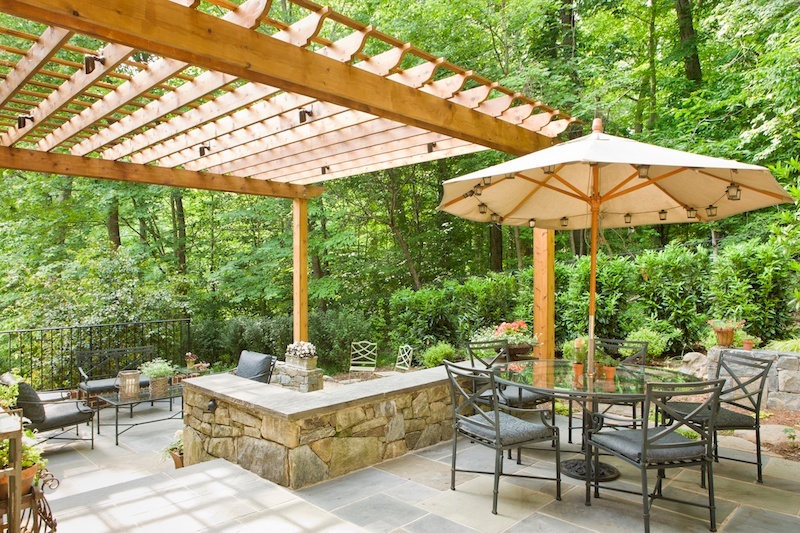 Take aesthetics and maintenance into account when you decide which material is best for your new patio, and consider adding a pergola or other type of canopy for shade on a hot, sunny day. 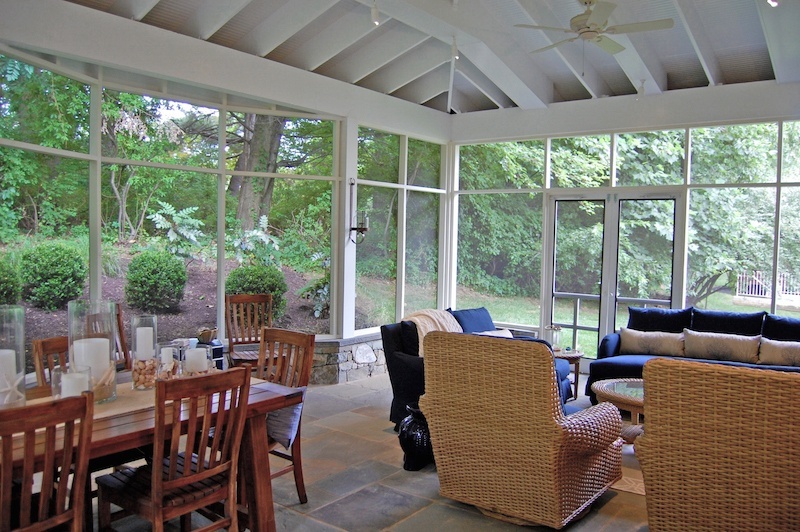 Today's homes often feature transitional spaces, such as screened or glassed-in porches, that lead to a patio and maybe even an outdoor kitchen or swimming pool. These transitional spaces can be heated for use in the cooler months. Consider extra wiring so that you can install a television to watch the big game in the autumn air. Ceiling fans that provide a breeze in the summertime are essential to your screened-in porch where you can have an insect-free alfresco dinner before you go for an evening swim in your new pool. 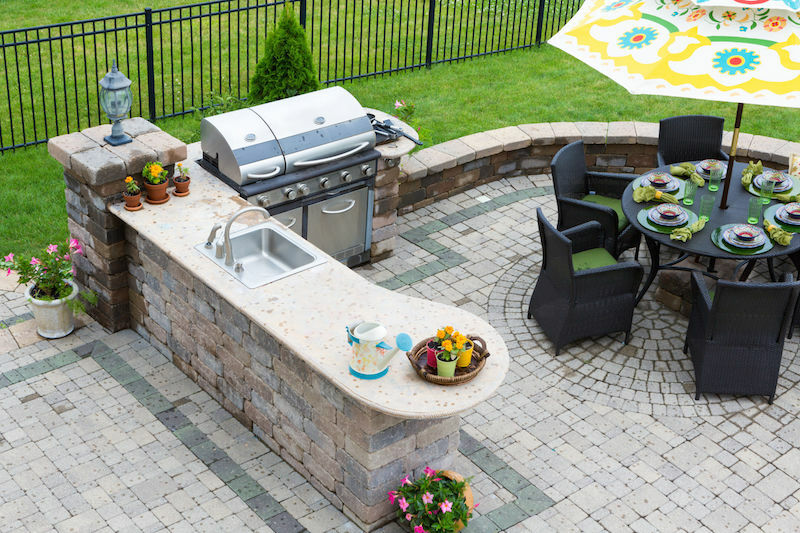 Many homeowners now opt to incorporate a full kitchen into the design of their new outdoor space. If this is something that you are considering, make sure your builder knows up front. Arrangements for water lines, natural gas and electricity need to be made and the design of your new space should allow for easy access between your indoor and outdoor kitchens. You will also need to budget for appliances and countertops that are made to withstand all types of weather. Don't forget to protect the chef (you!) from the elements with a removable canopy or other type of over-head covering. 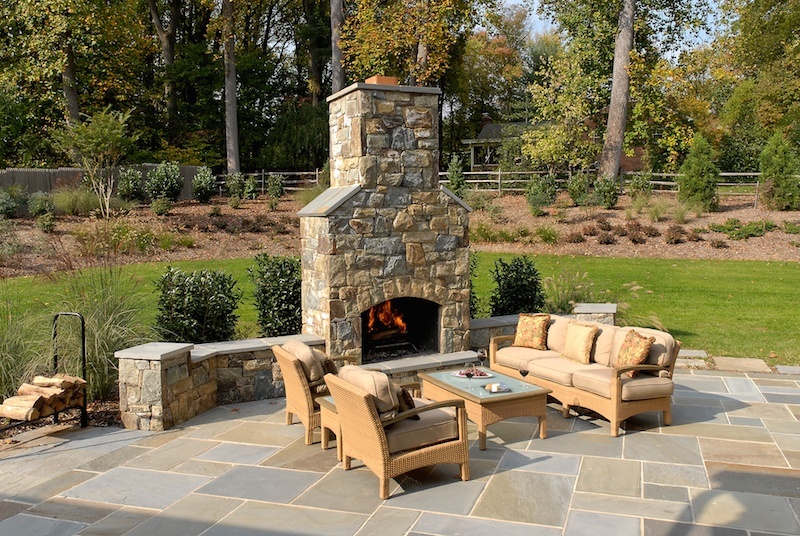 An outdoor fireplace creates an inviting ambiance for your family and guests to enjoy. Materials such as stone, concrete or brick, can be used to build fireplaces of any style - from rustic to ultra-modern. Add comfortable furniture and you will have the perfect spot for company and warm conversation on a chilly night. 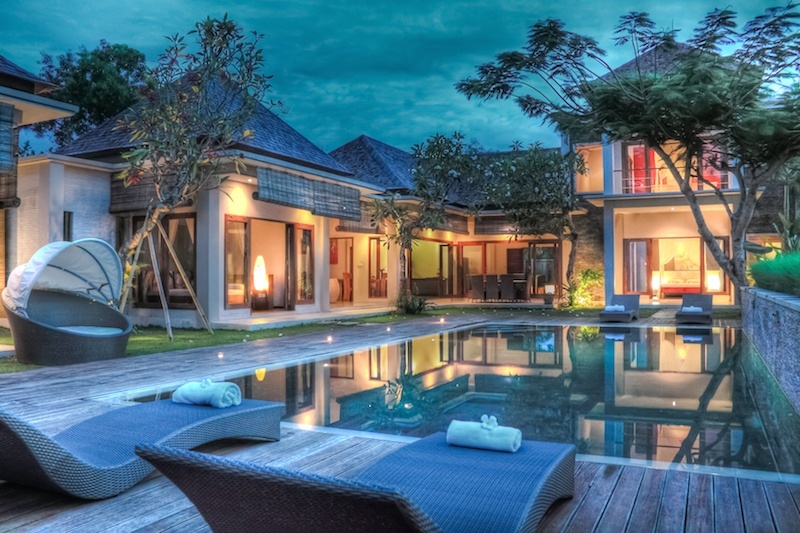 Swimming pools are the ultimate in luxury in any backyard. In-ground pools can be customized to any shape or size, depending upon the space you have in your yard. And, depending upon your budget, you can choose a variety of finishes for your pool for a personalized look. Yes, installing a pool is an expensive proposition, but it can increase the value of your home, and your family will enjoy it for years to come. 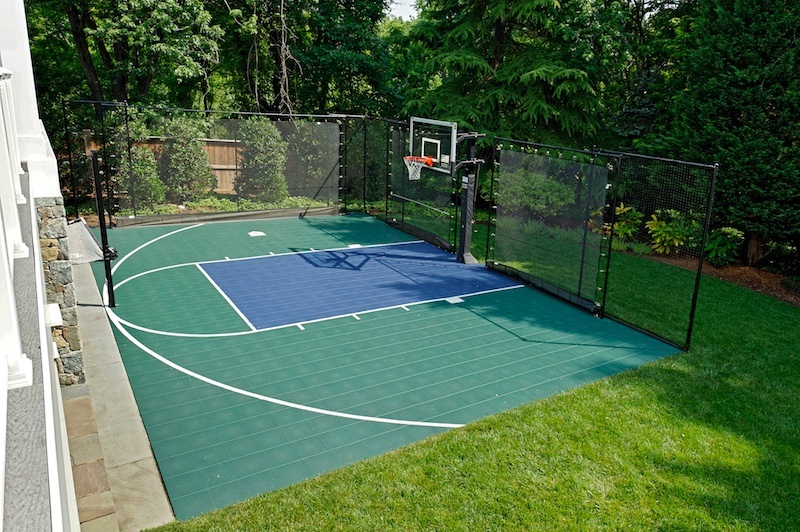 Sport courts are a great way to help your kids, their friends and you get exercise and to keep everyone occupied in a healthy way. From basketball to skateboarding, you can indulge your kids, or yourself, in a favorite pastime right in your own backyard. 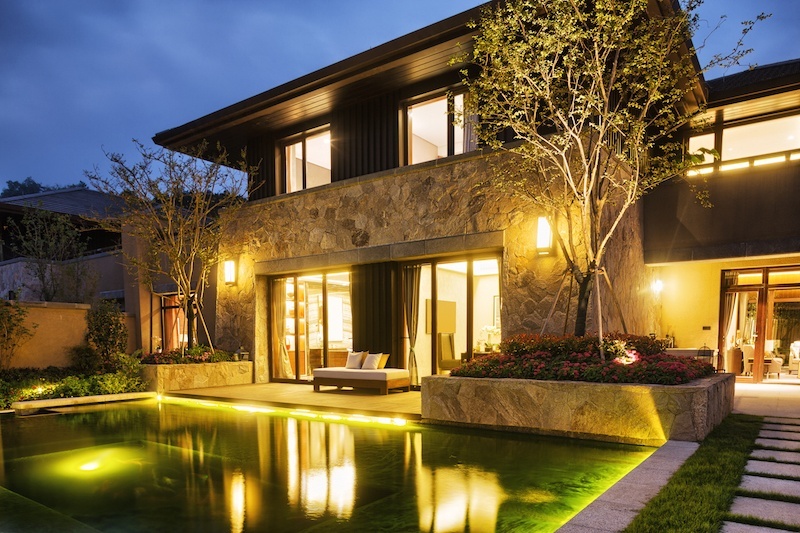 Consult with your builder or landscape architect about your lighting plan. 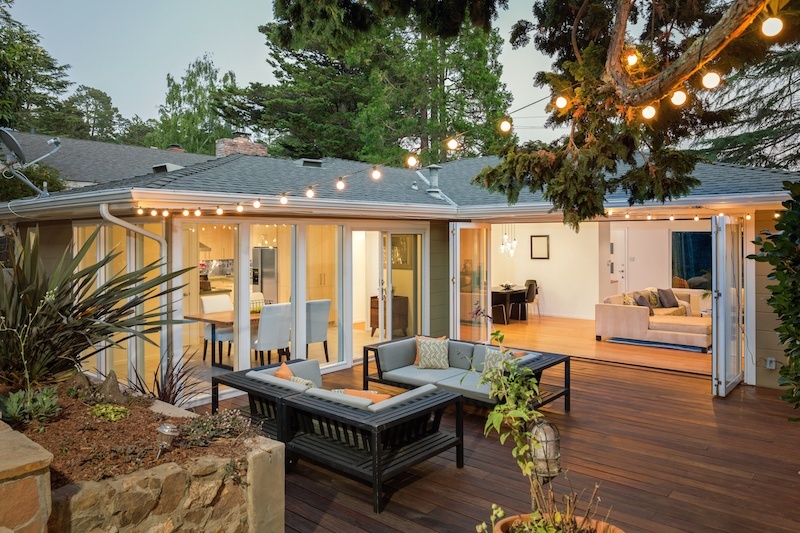 Proper lighting will add to the overall ambiance of your outdoor living space as well as create a safe environment for your family and guests. Low voltage lights can be installed under steps, railings or benches. Underwater lighting not only makes a pool beautiful, but it makes it safer for nighttime swimming. Task lighting is necessary in an outdoor kitchen, and all paths should be illuminated so that people can move about freely in your backyard oasis.